With newborn sessions, I typically encourage clients to do the shoot in their home. 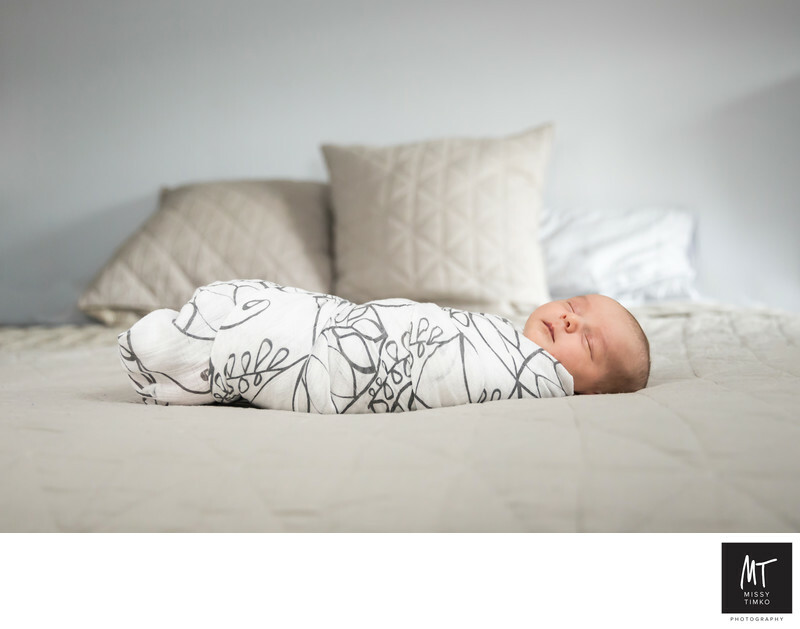 The adjustment to introducing a new child into your home can be stressful enough, and I find that making things easy and comfortable for you leads to better pictures. Not only that, by using your home as the background provides you with yet another level of customization. You can commemorate a lifetime of memories in the comfort of your own home. This image is beautiful, simple and neutral allowing the newborn baby's serene expression to take center stage for a natural portrait. Shot in Shadyside, Pittsburgh.